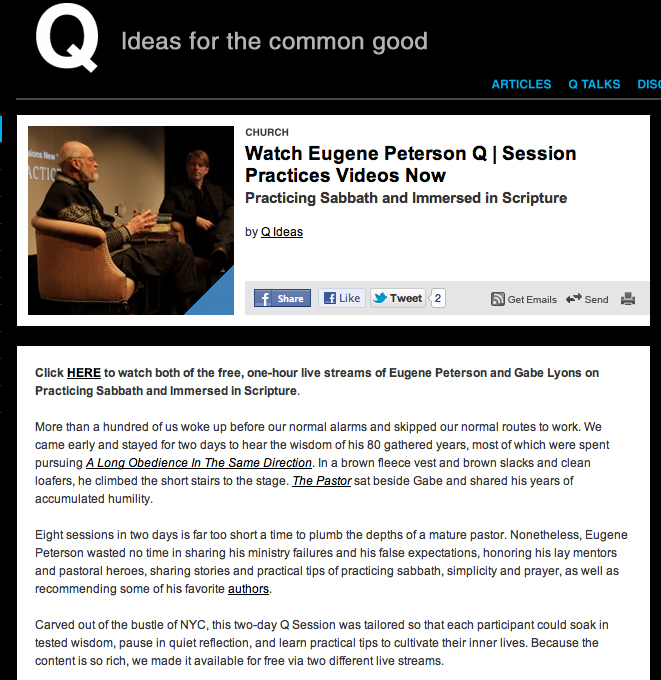 Q recently hosted a 2-day, 8-session event in NYC called Q Sessions | Practices with Eugene Peterson. Two of the conversations, “Practicing Sabbath” and “Immersed in Scripture” are available here. I highly recommend checking these out. (I admit having a penchant for Eugene Peterson’s thinking). In the “Immersed in Scripture” session, Peterson encourages us not to treat the Bible as a thing to be dissected. Instead, we are to treat it like a living text. In a style that is vintage Peterson, he recounts a quick paraphrase of a scene from Melville’s White Jacket. A ship surgeon, bored with the voyage because he has little work to do, has a chance to do an appendectomy on one of the sailors. He gathers some other sailors around to assist as he operates on a table in the galley. The surgeon is excited because there is finally important work to do and he is equipped to do it. While operating, he proceeds into a long and drawn out lecture on the wonders of the human body, pointing out anatomy, etc. – he goes on and on and on. Finally, the sailors get quiet. The man has died as the surgeon operated and lectured. Peterson likens this to what we do as preachers. We get in our pulpits, slice and dice and lecture. As we treat the text as “a thing to be dissected”, our hearers are dying. In an effort to be faithful to Scripture, we kill the Bible’s life (and the hearers). But, I don’t think Peterson is calling us to do poor exegesis or neglect the intricacies of a text of Scripture. However, could it be that we do exegesis in a way that kills the pulsating, passionate, Spirit-breathed, Christ-centered, wrought-with-redemptive-tension, exciting, sharper-than-two-edged-sword, powerful, living-and-active heart of the text? What do you think? How do we avoid doing this in our preaching? What dangers do you see in Peterson’s line of reasoning? How can Scripture come alive through us? How do we do careful exegesis vs. “treating Scripture as a thing to be dissected”? Is there a mode of preaching that does careful exegesis without this harmful slicing and dicing that misses the living, Christ exalting, redemptive center of the Bible? How can you cultivate these proper preaching instincts? I think exegesis can be detrimental in that one cannot sometimes see the forrest for the trees, but one cannot appreciate a forrest without appreciating trees. 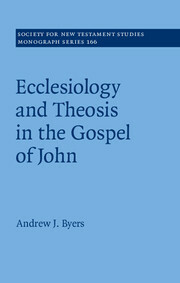 The exegesis upholds and clarifies the broader story, the subject or objective, the article par excellence. These uphold and lift the narrative or episolatory or whatever genre you have before you. Spelling out every aspect the exegete encounters in his study by expressing them in your sermon/lesson is not going to convey the gravity of the text if you just spell out the exegesis, but it is a way to ponder how the grammar upholds the narrative. 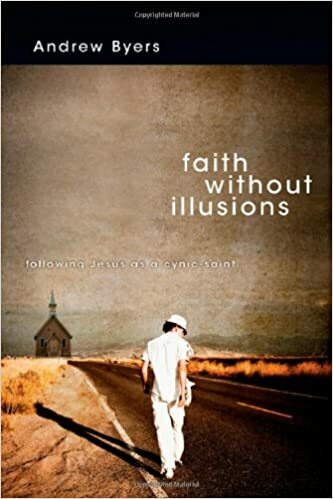 I see exegesis as a detail oriented way of seeing Paul’s thought, where broader narrative context is another way of doing so, so as a minister prepares the lesson sermon, he should look and ponder both as he makes a point suited for his context/congregation. 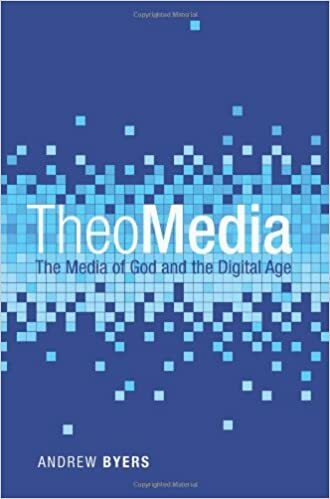 It is to the detriment of your congregants if you do not keep their needs in mind as you study, prepare, outline, write your manuscript, and especially contextualize you will miss the forrest and the trees of the intention of the text (to mold readers into a more Christlike way). Exegesis is not the end of preaching or study, bringing hearts to worship Jesus is. Exegesis is a tool, narrative criticism a tool, preaching a tool to this end, cherishing Jesus. What Peterson says here or his analogy seems to imply is that the pastor/surgeon is less concerned with the saving of the life and more concerned with the how that is done. Luke, such good thinking. I love what you said about not seeing the forest for the trees, but you can’t appreciate the forrest without the trees. So right. Thanks for your feedback.